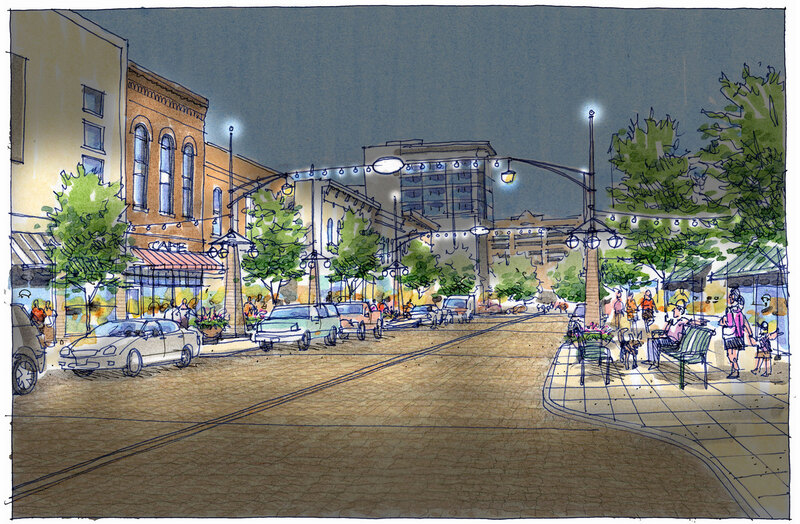 Genus led a multidisciplinary team in the preparation of a master plan for a 16-block study area in downtown Iowa City. 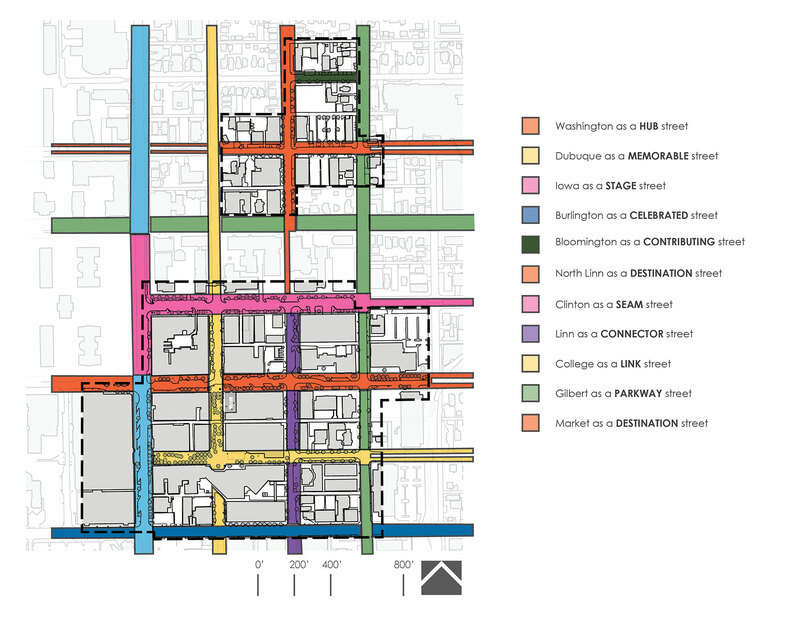 The study area included the iconic Pedestrian Mall and eleven different city streets, each with a distinct character and role within the neighborhood. 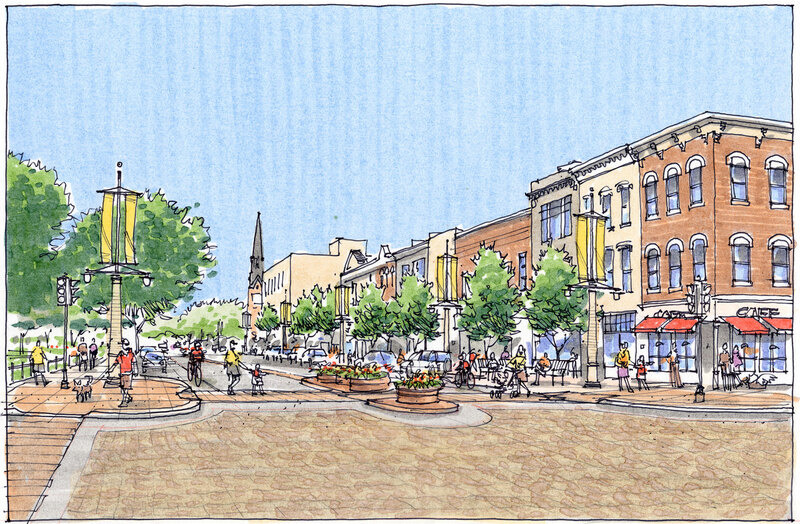 These streets had developed at different times under independent planning efforts and no longer met the evolving social, cultural, and commercial needs of the community. 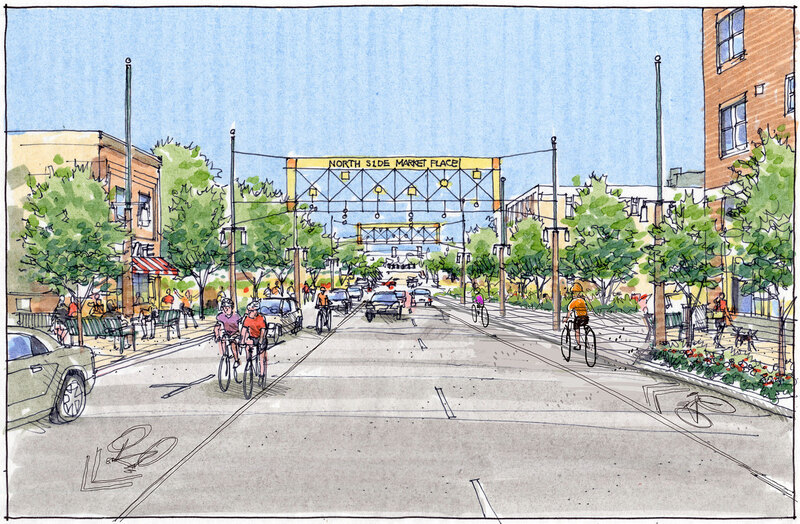 Recommendations included transportation enhancements, a multi-layered lighting framework, sustainability, wayfinding and identity strategies, and utility upgrades. Some improvements were applied to a particular street in order to distinguish a site-specific character or function, while others were applied broadly to unify the study area. 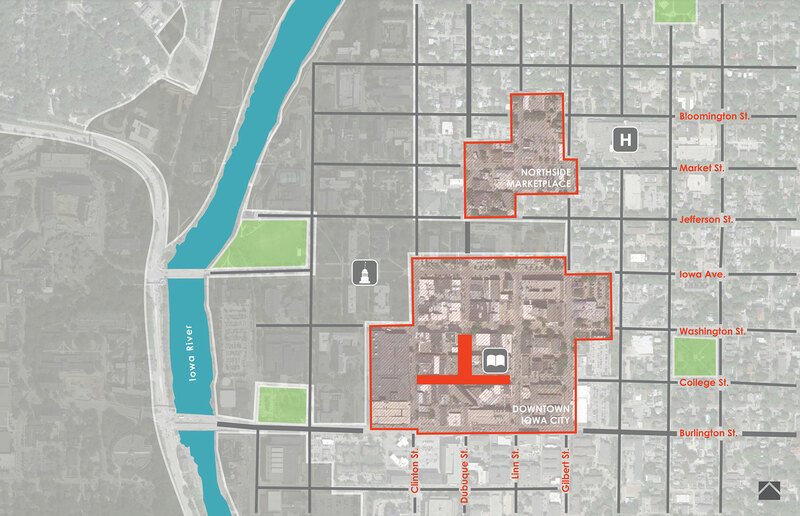 The plan concludes with an implementation section, and phasing recommendations for ‘quick start’, short- and long-term projects to assist the City of Iowa City in fiscal planning and decision-making for the next 10-15 years. 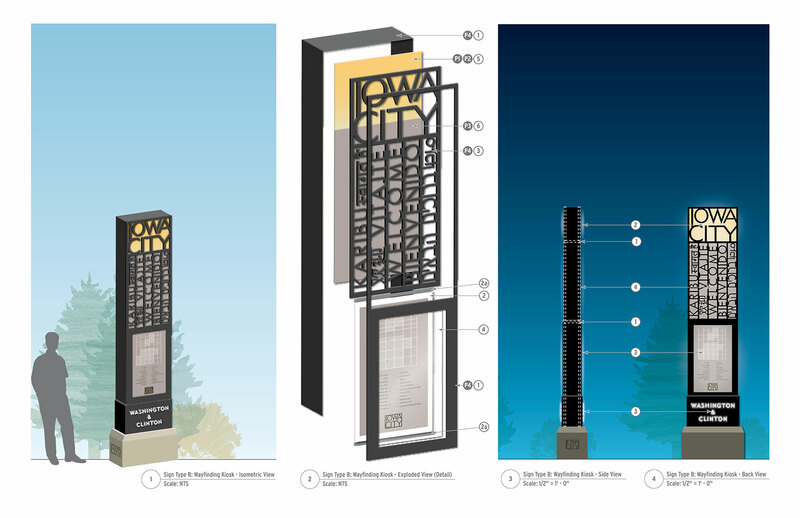 The master plan has now transitioned into multiple phases of design and implementation led by Genus across Downtown Iowa City.